It is hard in modern-day America to imagine being isolated from medication in the face of an epidemic, and 90 years ago most Americans felt the same way. Airplanes were advancing technologically, as were other modes of motorized transportation. However, that winter in Nome, Alaska 1925, the weather proved to still out-muscle man’s modern inventions. Ever man’s best friend, dogs would have to come to the rescue. Dr. Curtis Welch, the only doctor for hundreds of miles along the Bering Sea, had ordered a fresh supply of diphtheria antitoxin earlier that summer after noticing that his was expired. It was a slim chance that he would need it, but he liked to be prepared. However, when the Alameda arrived, the last delivery boat before Nome became unreachable for the winter due to ice, the supply had still not come. Dr. Welch made a note to reorder the antitoxin in the spring. through the town. Most susceptible were children, especially the Eskimos who, like the Native Americans, did not possess much immunity to European diseases. The mortality rate was close to 100% without the antitoxin. how to transport it to Nome. Nome lies just 4 degrees south of the Arctic Circle and is icebound from November to July; thus taking it by sea was out of the question. The February before, the first winter air flight had been conducted, but it had been for a much shorter distance and with warmer temperatures. (Planes at that time still only had open cockpits.) Also, both pilots who had completed the expedition were in the contiguous United States at the time, and the only pilot available to fly the serum was unfamiliar with Alaska’s terrain and relatively inexperienced. 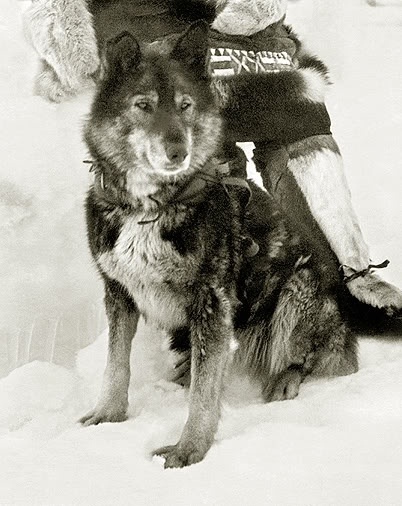 Musher Gunnar Kaasen with Balto. The only other option was to rely on the old method of transportation—dog sleds. It was estimated that the serum would only last for 6 days in the freezing temperatures, and the journey between the two cities was usually completed in 30 days. Authorities arranged a relay race between the state’s best dog drivers, with renowned Leonhard Seppala and his lead dog Togo to drive the longest and most difficult stretch. In driving dog sleds, the “rule of the 40s” was usually the guiding principle for temperature safety. Above 40 degrees Fahrenheit was considered too warm at risk of the dogs overheating, and below negative 40 degrees was considered too cold and was extremely dangerous for both the dogs and the driver. 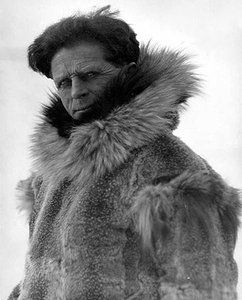 Much of the race to Nome was conducted in a blizzard with temperatures of -100 degrees and hurricane-force winds. A few dogs gave their lives in this race against death, and several of the drivers suffered from severe frost bite and hypothermia. Famously, Gunnar Kaasen brought in the antitoxin on the last leg of the relay with his lead dog, Balto. Balto became an instant celebrity. Balto’s statue in Central Park. This book tells the remarkable journey of the unstoppable individual men and dogs who together covered the 674 miles in 127.5 hours– a world record. Coined the “Great Race of Mercy,” this relay was the start of the commemorative Iditarod Race. The Cruelest Miles also shares many of the amazing feats of the drivers’ leads dogs before the diphtheria epidemic… stories of their incredible leadership and heroic rescues. This is a nail-biting account of a wonderful, feel-good story about dogs saving the day when technology could not.